The 3rd & final Embraer EMB-145 (KW-3554) for AEW&CS project is to arrive in Ahmedabad on July 4, 2015. The aircraft was earlier scheduled to be delivered in December 2014. Embraer has so far delivered 2 EMB-145I aircraft to India. The first EMB-145 to be delivered to India under the contract ceremonially rolled out in Brazil on February 21, 2011. Two EMB-145 aircraft fully configured in the AEW&CS role - fitted with CABS developed actual AESA radar antenna in the dorsal units, operator workstations (five), avionics racks, rest crew seating, seats and cabling - are undergoing acceptance tests by an IAF technical evaluation team. 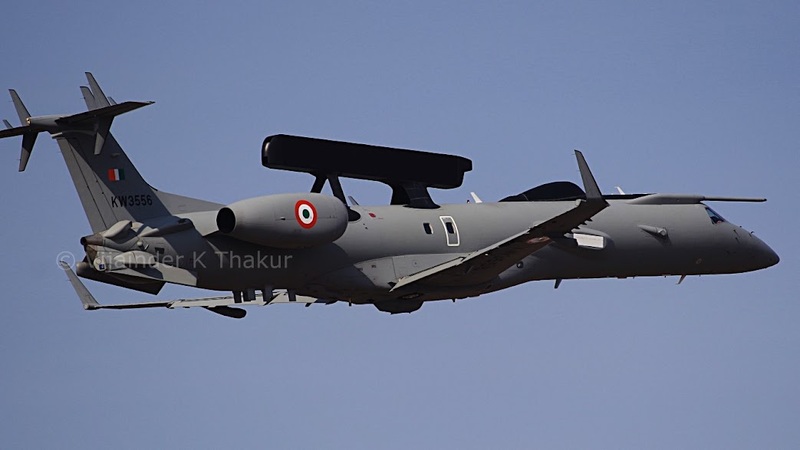 DRDO will deliver the first AEW&CS aircraft to the IAF within six months, DRDO Chief Avinash Chander told The Hindu on August 2, 2014. The Indian Navy on June 8, 2015 released a RFI for construction and delivery of 5 Diving Support Craft. The Navy is seeking self propelled Diving Support Craft, capable of fully supporting operational/training dives in harbors and coastal waters. The vessel, to be manned by 2 officers and 20 sailors, should be less than 30-m in length with draught not exceeding 2.5 m. It should be capable of operating in sea State 3 and be seaworthy up to Sea State 4. The vessel should be capable of operating in tropical conditions and have an expected life of 20 years with annual usage of approx 800 hrs. The Main and auxiliary machinery should permit continuous mission time of 48 hours. Max speed of 16 Kt is required at upto 85% MCR of Main Engine. Endurance should be 72 Hrs at economical speed with 25% reserve fuel capacity. Onboard diving equipment is detailed in the RFI.